The drug is the whole herb of Carpesium divaricatum Sieb. et Zucc. 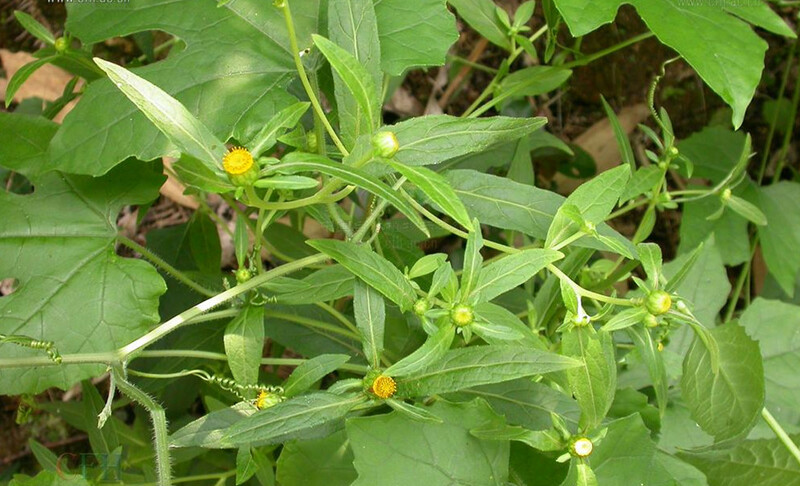 (family Compositae), growing on hill slopes, groove-sides and roadsides or cultivated, distributed in Jilin, Fujian, Hunan, Guangdong, Sichuan, Guizhou, Yunnan of China. It is used to clear away heat and remove toxicity, to relieve swelling and pain; for the treatment of common cold, sore throat, toothache, acute enteritis, dysentery, infection of urethra, tuberculosis of lymphaden, boils and furuncles, mastitis, parotitis, acute infantile convulsions, hemorrhoidal bleeding, wind-syndrome of head, acute conjunctivitis. Decoct 6~9 g, or pounded into juice for oral taking. Proper dosage is for external application, pounded for applying with the fresh or decocted for washing.